In the past decade, there has been a growing concern about the environmental protection in public society as governments almost all over the world have initiated certain rules and regulations to promote energy saving and minimize the production of carbon dioxide (CO2) emissions in many manufacturing industries. The development of sustainable manufacturing systems is considered as one of the effective solutions to minimize the environmental impact. Lean approach is also considered as a proper method for achieving sustainability as it can reduce manufacturing wastes and increase the system efficiency and productivity. However, the lean approach does not include environmental waste of such as energy consumption and CO2 emissions when designing a lean manufacturing system. 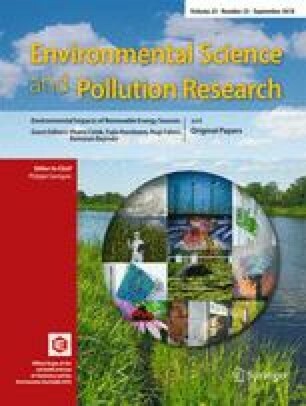 This paper addresses these issues by evaluating a sustainable manufacturing system design considering a measurement of energy consumption and CO2 emissions using different sources of energy (oil as direct energy source to generate thermal energy and oil or solar as indirect energy source to generate electricity). To this aim, a multi-objective mathematical model is developed incorporating the economic and ecological constraints ﻿aimed for minimization of the total cost, energy consumption, and CO2 emissions for a manufacturing system design. For the real world scenario, the uncertainty in a number of input parameters was handled through the development of a fuzzy multi-objective model. The study also addresses decision-making in the number of machines, the number of air-conditioning units, and the number of bulbs involved in each process of a manufacturing system in conjunction with a quantity of material flow for processed products. A real case study was used for examining the validation and applicability of the developed sustainable manufacturing system model using the fuz﻿zy multi-objective approach. The authors would like to express their gratitude to the Ministry of Education in the Kingdom of Saudi Arabia for the financial support in this study. Also, the authors would like to thank the anonymous referees whose thorough reviews and insightful comments made a valuable contribution to this article.